We wondered just how to tell you about Cow Lick Spicy Beef Rub, and decided we couldn’t do any better than the Godfather of BBQ, Johnny Trigg. He put it like this: “That was the best steak I ever had, and I’m from Texas!” Of course, winning a bet and making Chris Capell cook might have had something to do with it, but we’re betting it was mostly the rib eye steak, covered in Cow Lick and grilled to a beautiful char. 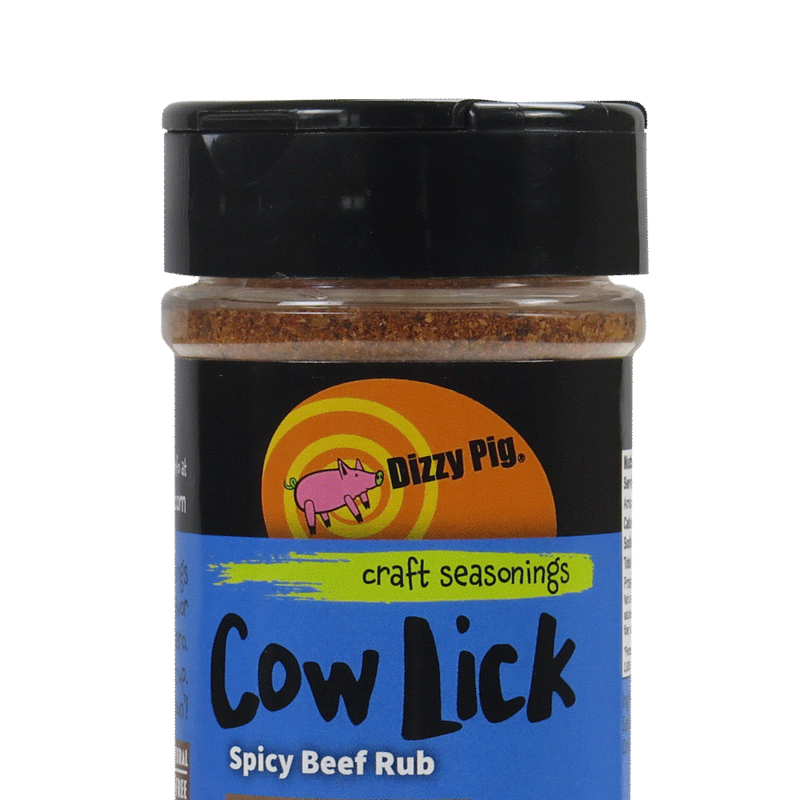 If you need more proof of the perfection of this Dizzy Pig original, know that this delicious beef seasoning is filled with loads of fresh ground pepper, earthy chilies, paprika, garlic and onion. It’s the perfect complement to burgers, chili, steaks, prime rib and brisket. It really makes everything beef pop right off the plate … or the grill or the pan, as the case may be. Believe it or not, it’s surprisingly good on sliced tomatoes, too! And Cow Lick™ contains NO sugar! Our rubs are all natural, gluten free and contain no MSG. For your convenience, here is our nutritional panels, as they appear on our 8 oz. shakers.